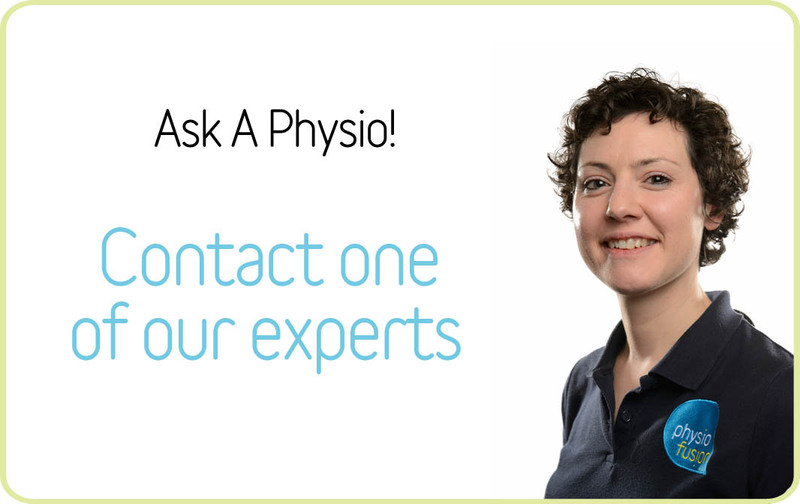  Physiofusion are proud to be partnered with Crow Wood by providing physiotherapy and our injury rehabilitation expertise to their members. Crow Wood Health and Leisure club is set within 100 acres of greenbelt land within the heart of Burnley, Lancashire, creating a unique facility based on quality, providing a range of fitness, health, leisure and sporting activities. This private members fitness centre was established in 2001 and since then the investment has been continuous, keeping the facilities upto date, to the highest standards. Members of Crow Wood also receive a range of other benefits to membership including exclusive member-only discounts such as half price use of the award winning, multi-million pound Woodland Spa, discounts at Bertram’s Restaurant and lots more. Although there are different membership options, from those who wish to take full advantage of all our facilities including Racquets and The Woodland Spa’s Thermal Experience through to those who wish to limit their activities to specific areas, one thing remains the same– being a member at Crow Wood is a ‘leisure experience’. 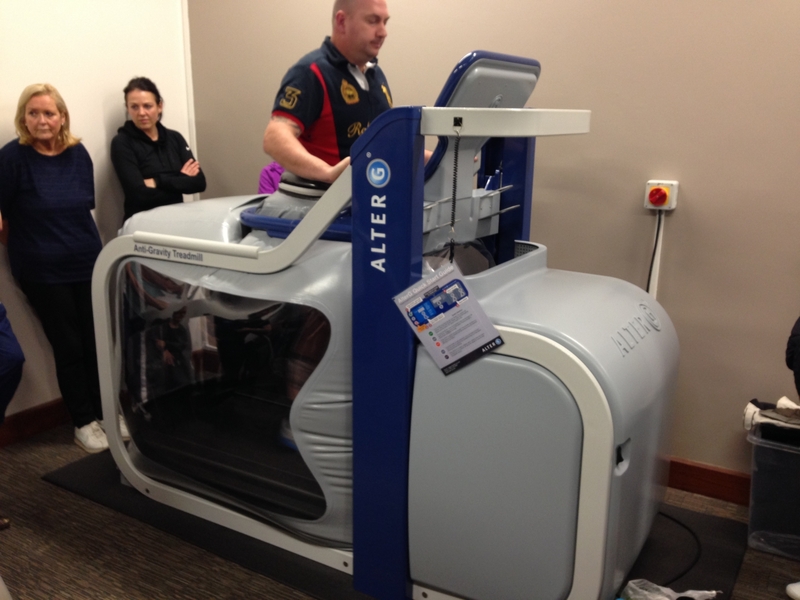 Crow Wood is also home to the AlterG Anti-Gravity Treadmill. This state of the art equipment is ideal for orthopaedic and bariatric patients, because of the ability to exercise with no weight bearing on the hip, knee and ankle joints. 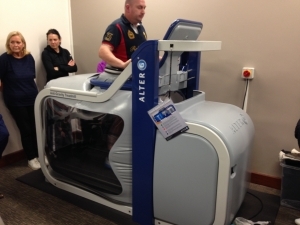 The AlterG also allows patients to exercise with reduced pain compared to weight bearing exercises such as running on a traditional treadmill. A patient using the AlterG at our demonstration evening.